Fall brings a lot of important dates: back to school, Halloween, Thanksgiving... and the start of hunting season. If your fall wardrobe is mostly camo and orange, you need Born to Hunt. This woodsy kit is perfect for scrapping the hunter in your life, combining a heavy dose of theming with colors perfectly suited for fun fall layouts too (and no camo in sight!). As always, it's Lori & Heidi's elements that set them apart from the pack. 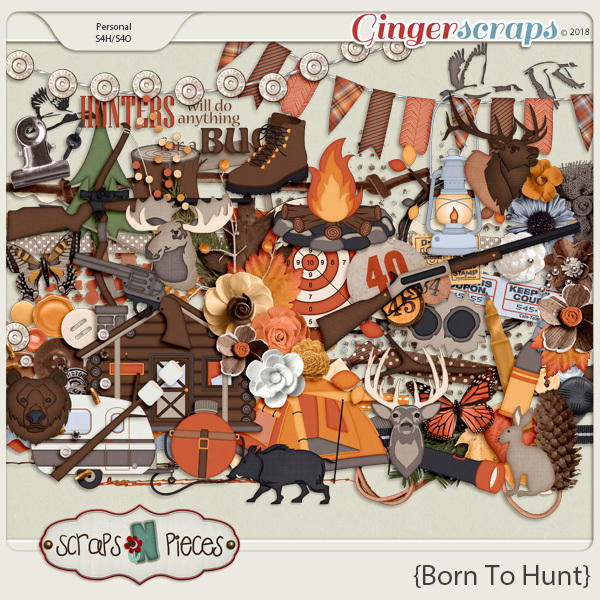 Born to Hunt contains everything you need for a successful hunting trip: guns and ammo, targets for practice, flashlights and lanterns, tents, cabins, and a camper, trees, pinecones, and plenty of animals to hunt. 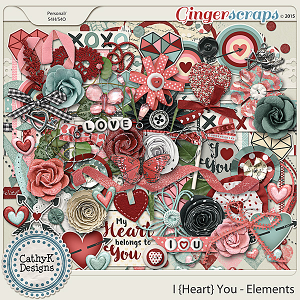 This kit also comes with more traditional elements including banners, flowers, buttons, and ephemera, as well as thematic word art . All you need are photos of your favorite hunters and their trophies. If you love someone who prefers hunting season to pumpkin spice, you need Born to Hunt. This is the combined kit for our October 2018 Buffet. You can get the full bundled kit or pick up the elements, papers, cardstocks, and alpha separately. 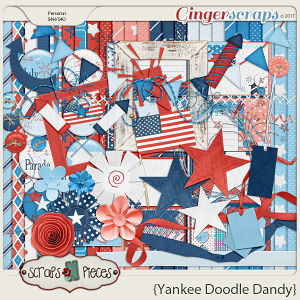 There is also a coordinating Template Pack 43 sold separately.